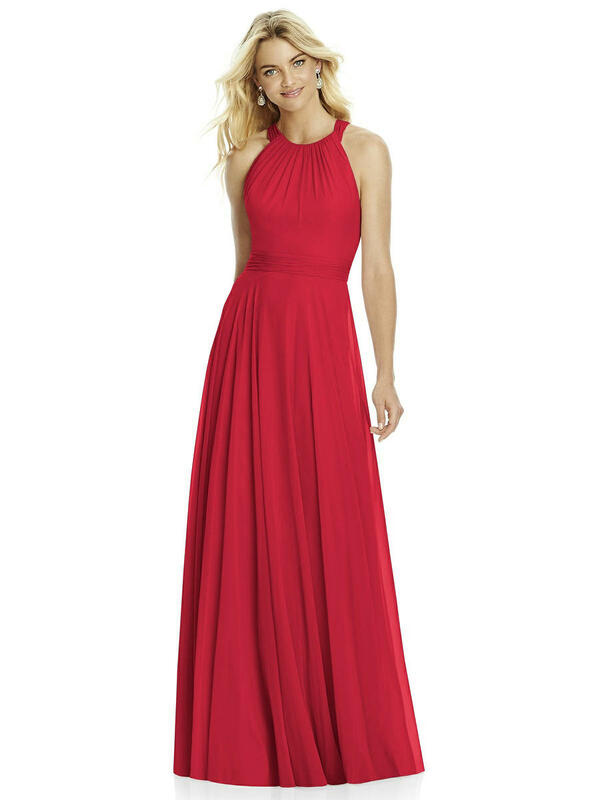 Full length lux chiffon dress w/ modified gathered halter neckline and cross strap detail at back. Bow at open back. Circle skirt.